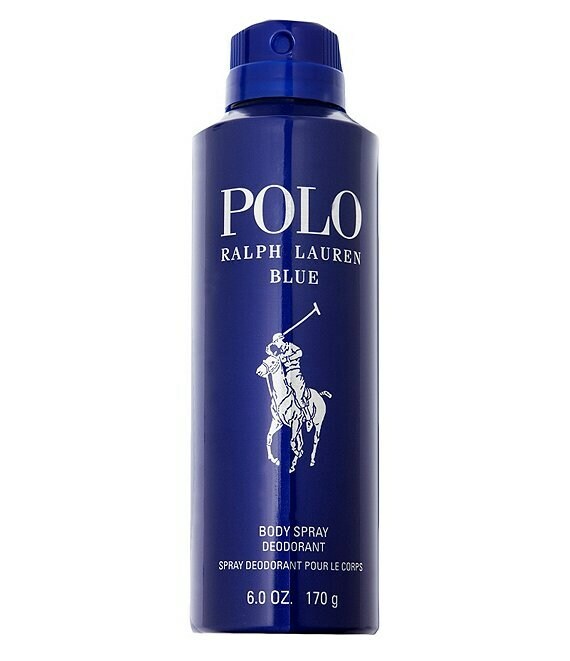 Ralph Lauren Polo Blue is a fragrance that evokes the freedom of the big, blue sky and the energy of the open waters, topped with an invigorating blast of fresh air. Its lush blend combines aquatic accords, spicy basil, soothing washed suede, velvety moss and sheer musk. A new way to wear your favorite Polo fragrance, the World of Polo Body Spray collection is designed for the guy on the go. Use it all over and every day for a light and refreshing fragrance experience.